Robinhood is a sleek smartphone app that’s a brokerage account with unlimited $0 trades with no minimum balance requirement. They’ve been around for a few years now and I’ve been impressed that they’ve kept up the free trade business model, partially by recently rolling out premium paid features. I enjoy the minimalist and intuitive interface. Right now, if you a referred by an existing user you get a free share of stock. The existing user also gets a free share, so thanks if you use it! As I write this, that share is randomly selected from a pool of “widely-held companies”, which includes Apple ($158), Facebook ($172), or Microsoft ($75). 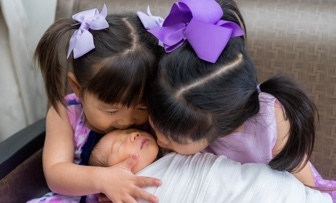 Too bad they don’t offer Berkshire Hathaway Class A shares ($274,000). Okay, but there are also shares of companies that are worth $1 or less. 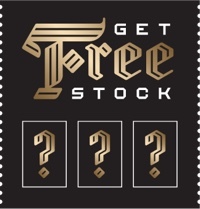 The stock bonus is one share selected randomly, when the bonus criteria are met, from Robinhood’s inventory of settled shares held for this program. When shares are purchased into this inventory, Robinhood purchases shares from the three to four companies representing the highest market capitalization in various ranges of share prices between approximately $3 and $175, limited to those companies that are widely held among Robinhood accounts. There is an approximately 98% chance of the stock bonus having a value of $2.50-$10, an approximately 1% chance of the stock bonus having a value of $10-$50, and an approximately 1% chance of the stock bonus having a value of $50-$200, based on the price of shares at the time of purchase. The Robinhood platform displays approximate odds of receiving shares from particular companies at the time the screen is generated. These odds do not necessarily reflect the odds of receiving stock in those companies at the time the stock bonus is awarded. 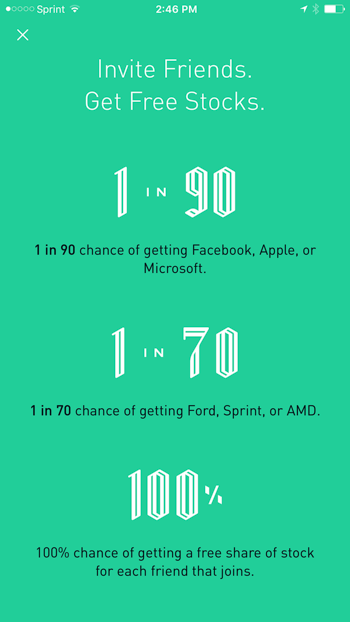 So… basically 98% chance of getting something $10 or less, and 2% chance of something higher. This means the weighted average share price can’t be more than ten bucks. Limit one offer per qualified referral with a maximum of one account per referred client. Stock bonus will be credited to the enrolled account within approximately one week after the bonus is claimed. Stock bonuses that are not claimed within 60 days may expire. Shares from stock bonuses cannot be sold until 2 trading days after the bonus is granted. The cash value of the stock bonus may not be withdrawn for 30 days after the bonus is claimed. Bottom line. 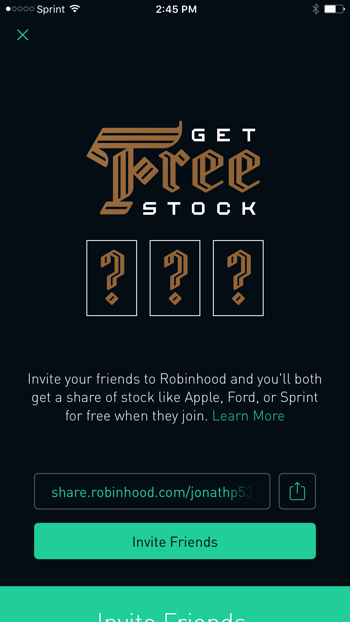 The Robinhood “Get Free Stock” promotion is clever and it certainly appeals to the hopeful gambler within us with a $200 potential value, but most people are likely going get a share of stock valued at $10 or less. (Don’t sell it and wait 30 years – see what happens!) I would just treat as a fun game if you otherwise want to be able to trade stocks for free on your smartphone. Robinhood is a good value on its own, see my full Robinhood review. Sign up for Robinhood and get your free share here, and I’ll report back on any shares that I win.